Am vergangenen Samstag verlor die Rockwelt ihren Pionier Chuck Berry. So reagierten Musiker wie die Rolling Stones, AC/DC, Queen, Kiss oder Guns N‘ Roses auf den Tod des Rock’n’Roll-Vorreiters. Am 18. März 2017 starb Charles Edward Anderson Berry Sr., besser bekannt als Chuck Berry, im Alter von 90 Jahren. It started with Chuck Berry. He inspired us all. The 1st album I bought was Chuck’s „Live at the Tivoli“ and I was never the same. Chuck Berry was rock’s greatest practitioner, guitarist, and the greatest pure rock ’n‘ roll writer who ever lived. 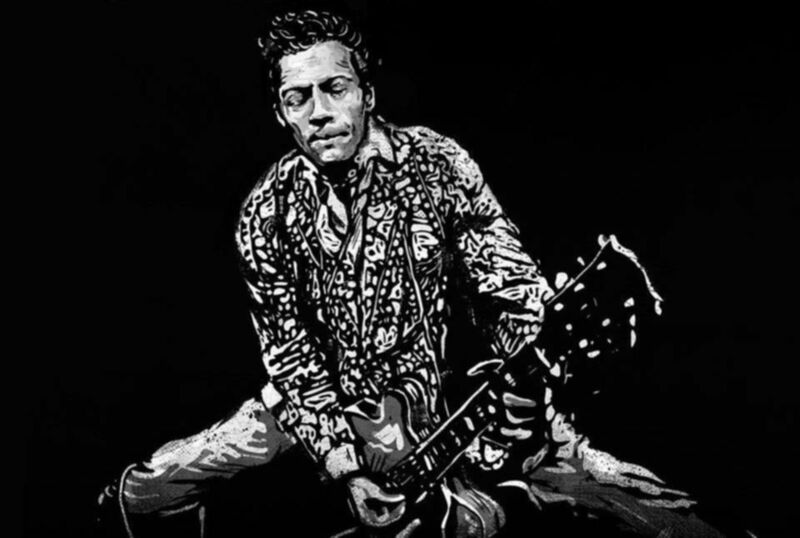 Rock n roll would not be what it is today without the influence of @ChuckBerry! Thank God for his Rock and roll presence on this planet! RIP Chuck Berry. Without him Rock n Roll wouldn’t be what it came to be. Rest in Peace Chuck Berry….one of the original rock and roll guitar legends….thank you for the music! One of the greatest rock’n’roll artists to ever exist . His music lives on ! Ah Chuck how we will miss you. One of the first solos I ever learned was Chuck Berry’s. I’m truly saddened this morning, as we’ve lost another legend. RIP Mr. Berry! the 1st rock n roll guitarslingin‘ outlaw ! Chuck Berry IS rock and roll! It's sad day for rock and roll, but his music will live on forever.